Note AdventureCraft is compatible with 1.3.2 via its installer but it only has features from beta 1.7.3 and back. Script block which can be triggered to run a script or execute a script on detrigger or always ticking while loaded. Musical instruments which with user inputted songs can trigger scripts. Everyone who works on MCP as this mod is heavily based on MCP. Those guys are all great and I love contributing to the project. r1095 - Adds a NPC Path block that can have an NPC path to it. Cutscene cameras can be set to not pause the game. r1087 - Can disable random pathing on EntityCreature's via .canPathRandomly. Can adjust random looking via .canLookRandomly, randomLookVelocity, randomLookRate, and randomLookRateVariation. randomLookNext contains when the entity will choose a new random velocity. r1085 - Living entities now have a FOV which is used to determine if a target can be seen (use debug or /renderfov to see the FOV angle). Pathing only simplifies the current segment walking along now. Mobs won't update their path to their target unless they can see the target therefore they will now goto the last known position and then give up after a while. Fixed muzzle flash getting stuck permantly on for zombies and skeletons when they can't see you. Can get time stats on scripts via /scriptstats and reset the stats via /scriptstatreset. Store block correctly renders its items and the sky renders correctly now when looking at a store block. Bullets from mobs will now no longer come from their feet but instead their waist. Lots of prep code work for 1.8.1 update including shifting blockID range of several blocks (id's 100-122 are now 150-172 and id's 152-155 are now 173-176). r1062 - Fixed slime movement speed. Fixed block placement. r1056 - Custom items can now be created. Vec3's can be created via Vec3 now and have new helpful functions on them. r1048 - Adds the ability to execute a script on the various movement key presses and stop them from occuring. Exposing EntityLiving's gravity, jumpVelocity, jumpWallMultiplier, jumpInAirMultiplier, shouldJump, airControl. Move speed greater than 1 will allow faster movement. Player's move speed is effect now by moveSpeed. Fixing rifle to use rifle ammo again and not pistol ammo. Adds rayTraceBlocks and rayTrace to world and rayTrace to entity. Adds the function fireBullet to EntityLiving. r1039 - Full weapons will show their ammo bar. Shotgun muzzle flash works once again. Shotgun now requires you wait for the reload to finish before you can fire (previously could fire the second the reload started). Exposes to scripting whether the entity's onGround flag is set or not (entity.onGround). Pathing improvements with regards to clip blocks, fences, and paths requiring jumping. Creatures will now actually use their paths if they have a target. Zombie and skeleton firing slightly altered. The "Score" will no longer print when you die. r1016 - Models can be attached to each other by the variable .modelAttachment on them. Cave sounds disabled. Can specify the texture width and height on models at model creation time Model(texWidth, texHeight). UI elements can be moved smoothly now via .moveTo(x, y) and .moveBy(dx, dy). r1010 - Replace the MC logo on the main menu. Entities have on them now .isFlying which can be set True for them to fly around. Can edit the time of camera points with an editbox by right clicking them. The sound in cutscenes is now based off the cutscene camera not the player's position. r1004 - Adds effect.fovModifier for adjusting the FOV. Fixes a crash with opening a second map then a cutscene camera gets activated. r1002 - Cutscene camera is cleared upon quiting a map. UI Labels can now have their position be set as floats. The HUD can be enabled/disabled via ui.hudEnabled. You're a lone commando tasked to destroy the Nazi Zombie Federation's dam. I've been looking forward to this since your map post on reddit. Hopefully I'll have time to check it out after work. i ask is this for beta? Yes, it is for beta. Sounds epic, I'm gonna download when it's possible. Anyway, what's with the shield? Where can I get that mod? EDIT:do i win once i defeat the skele boss? I'm unsure what I need to do after defeating the First Boss. He didn't drop anything, so I'm just in the large room where he spawned. Unfortunately thats currently the end of it at the moment. A heart container should drop where he spawned at. 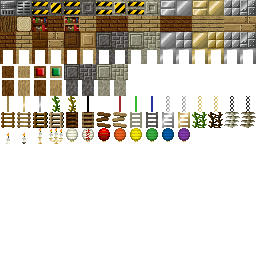 Though since there is no further content yet beyond this one level its not of much use yet. I hope to add additional islands but wanted to get this out for the people who've been wanting to try it out. Now that you've finished him can try messing around with other stuff. While in debug mode you can place and destroy blocks. 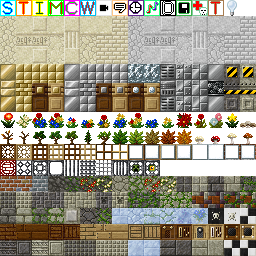 There is also several development items that can be crafted that were used to make the dungeon and will list the recipes for them later. You get heart containers from killing bosses (though there is only a single boss currently in the game). The shield and boomerang are located in chests within the dungeon. crycet i want to create them in my own world:L how do i craft them? Yeah, I really want the boomerang in the regular game... and a shield wouldn't hurt, either. Are those mods already available somewhere? Or are they stuck in the rest of the code for this Mod and can't be seperated? The shield and boomerang- can they be crafting w/ this mod? Was the boss supposed to drop something? 'cause either the spikes i killed it in destroyed the item, or he doesnt drop. I'd really like the shield and boomerang as separate mods to normal Minecraft. If you could do that, many people would be very happy. Got that error when trying to transfer the files. That looks so freakin' cool! Epic potential! Any chance of server support somewhere down the road for some co-op dungeon crawling action? When I have the mod installed, Minecraft won't load past the "Updating Minecraft" screen. The load bar stops about half an inch from being full. I followed the instructions completely, including deleting META-INF, and tested a fresh minecraft.jar, which worked fine. cryect you are amazing but i have one question do you can post the craftin for the boomerang and shield anyway the mod its amazing all amazing awesome incredible great i never see something like this thx!!! but please the boomerang and shield that gonna looks great in my map please :biggrin.gif: thanks for all your work ! !